If you live in the United States of America and are awaiting (or thinking about buying) the new all-electric Porsche Taycan, then we have good news! When you buy your Taycan, Porsche will offer 3 years’ worth of free charging for your vehicle across the entire country, even though you’ll actually be paying for it in the cost price. But we’ll gloss over that little detail. Porsche has partnered up with Electrify America to offer unlimited 30-minute charging for your Taycan. This vast network of electric charging stations will consist 300 highway stations in 42 of the 50 states. The average distance between these stations will be 113 km with each of them having five charging points, and some having ten. These will see at least two 350 kW chargers. Over and above that, more than 180 charging sites will be opening in 17 metro areas with charging speeds of 150 kW. If you’re sitting there still worried that there won’t be enough charging points for your new Taycan, then do not worry. 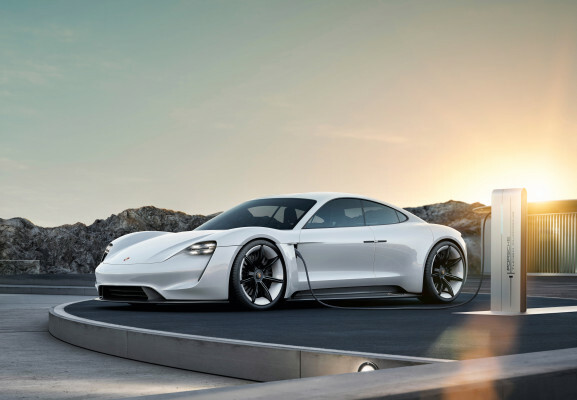 All 191 of Porsche’s American dealerships will also offer DC fast charging. 120 of those dealers will have Porsche Turbo Charging, which is Porsche’s own DC system which offers a maximum 320 kW of charging. You will also be offered home charging to conveniently charge your Taycan at house. All in all, Porsche will be investing more or less $70 million (approx. R950 million) in the electrification for the Taycan, and no doubt future electric Porsche models as well. The Taycan will have a 800 volt charger which will mean it will be able to cruise around for 400 km with less than 20 minutes’ worth of charging. Plug the car in for 4 minutes, and another 100k m will be added to your electric range.